Senate and Assembly lawmakers voted on Monday, November 26, in favor of legislation that seeks to regulate the adult use marijuana market. Members of a 26-member joint committee decided to move forward the legislation: Senate Bill 2703 and Assembly Bill 4497: The New Jersey Cannabis Regulatory and Expungement Aid Modernization Act. Lawmakers will engage in further debate on the measure prior to voting on the bill on the floor. Key provisions of the initial drafts of the legislation are available here. 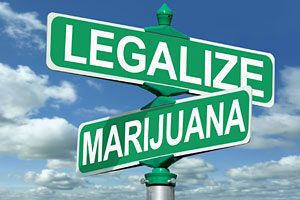 Fifty-eight percent of voters support “completely legalizing the possession and personal use of recreational marijuana,” and 79 percent support “allowing an individual to clear their record” of a past marijuana possession conviction,” according to an October 2018 Rutgers-Eagleton poll.